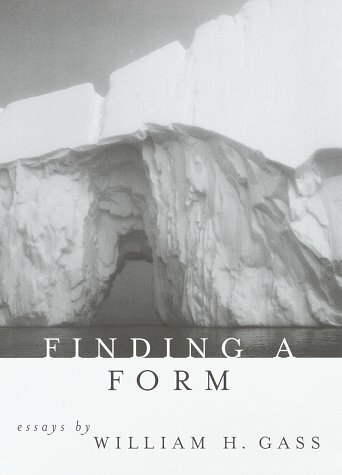 This is a deeply intelligent, often witty, book on literary craft and form. Gass adores language and plays with it throughout; I might even go so far as to say he was a little too smirkingly pleased with himself occasionally, but at the same time he consistently earned my respect and admiration. "Let us imagine a world without language; and since I am going to insist that what we sometimes call the soul is simply the immediate source of any speech -- the larynx of the logos -- a world without words will be a soulless one as well." The soul as the immediate source of any speech? Do I agree with that assumption? "Larynx of the logos" -- clever, but again, do I agree? Well, it warrants pondering. "Christened 'Pound, Ezra Loomis.' If used as a verb, 'pound' means to beat. If used as a noun, 'pound signifies a unit of weight, a measure of money, pressure of air, or physical force. From time to time, apropos poetry, Pound wondered which should be sovereign, the verb or the noun, and concluded, if his practice may be entered as evidence, that the verb was most noticed when knocked off the sentence like a phallus from a kouros -- 'Spiretop alevel the well curb' -- and when effects were hammered back into their causes with naillike hyphens -- 'Seal sport in the spray-whited circles of cliff-wash' -- hence into a compaction like a headache . . . splitting." One of my favorite passages comes from the title essay. "I, like many others in every art, rejected a realism that wasn't real and tried to work in a less traditional, less compromised way. I organized my fictions around symbolic centers instead of plotting them out on graph paper; I assigned the exfoliation of these centers to a voice and limited my use of narration, while treating the style and characteristic structure of the sentences that filled the novel, row on row, as microcosmic models for the organization of the whole. I do not pretend to be in the possession of any secrets; I have no cause I espouse; I do not presume to reform my readers, or attempt to flatter their egos either. My loyalty is to my text, for that is what I am composing, and if I change the world, it will be because I've added this or that little reality to it; and if I alter any reader's consciousness, it will be because I have constructed a consciousness of which others may wish to become aware, or even, for a short time, share. The reader's freedom is a holy thing." Much to chew on there, and that's merely one half a page out of 350.